My apologies if you were looking for a recipe. 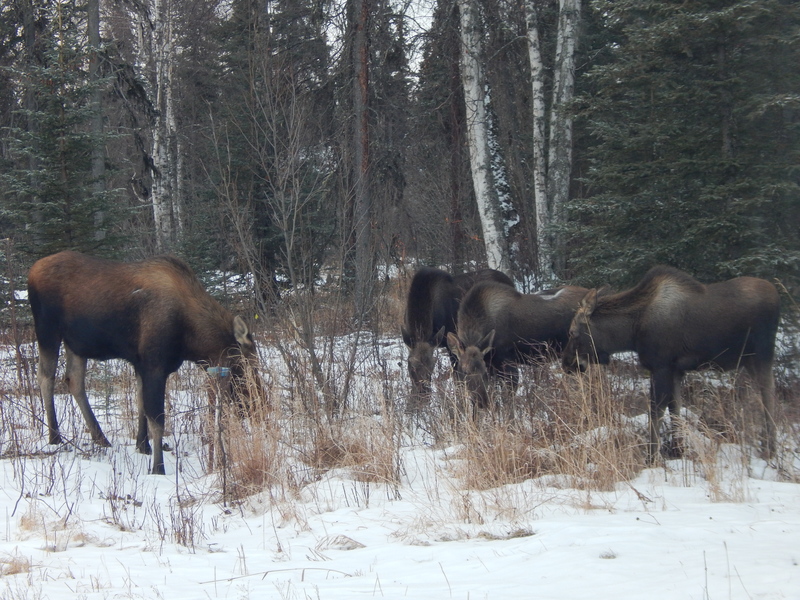 I think this is so very much better — a real live Alaskan Mama Moose that took a little stroll and ended up in my brother’s yard with her family. 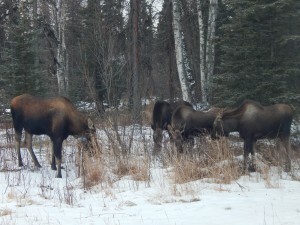 They were hungry and decided to graze before moving onward to explore other munchables. 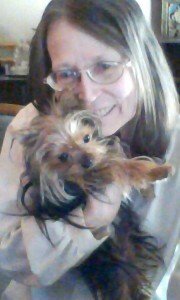 My brother, Gary, would have liked them to stay and to bring some friends to clear away the debris for him. He may have a rude awakening when he begins planting his garden come spring. I’ll keep you informed how delighted he’ll be when they return or something else shows up to munch on his vegetable garden. Nature is always wonderful to watch in the privacy of your own home . . . and when they feast on something you don’t plan to feast upon. It certainly is amazing what can be done with simple noodles, food coloring and zip-lock bags. Yes, indeed, that’s all you need! I doubt I need to go further with the instructions, but I will just for the fun of it. You get your bag of spaghetti noodles and cook them following the instructions on the package. Then you get out your zip-lock bags and prepare the colors for your pasta strands by putting 2 tablespoons of water in each zip-lock back and 20 drops of food coloring. Mix it up nicely to get the color you want — more or less drops of food coloring. When your pasta is cooked, put it in a strainer and pour cold water over it. You’re now ready to have some fun putting strands of cooked noodles in the various zip-lock bags. Once the bags are full of noodles, zip the bag closed and mix the noodles in the food coloring making sure they are thoroughly covered. Let this set for about a minute before returning the noodles to the strainer. Once the colored noodles are in the strainer, give them a cold water rinse and return them to the pot where you’re going to mix the colored noodles together. Serve your pasta however you like. It will be a great hit with your family. Plastic Easter Eggs never looked so enchanting! 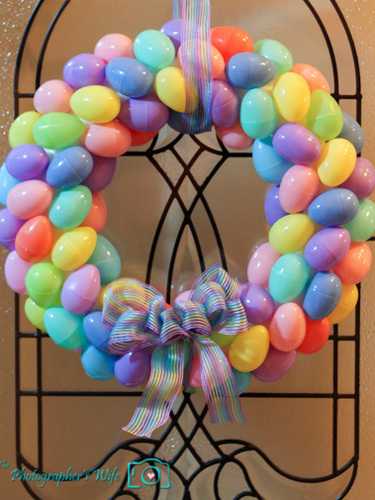 Many people like to use hot glue to attach the plastic eggs to the wreath ring, but you can use a glue of your choice that will hold up to warm weather as it adorns your front door. Add a colorful pastel bow on the bottom of your wreath and some colorful ribbon on top to hang it on your door. There you go! A quick and easy Easter Wreath that welcomes Spring to your front door! You may want to add some birds, chicks or bunnies to embellish this wreath. Allow your imagination to take flight and enjoy this spring wreath project. Maxine doesn’t have the best advice, but she does make me laugh. 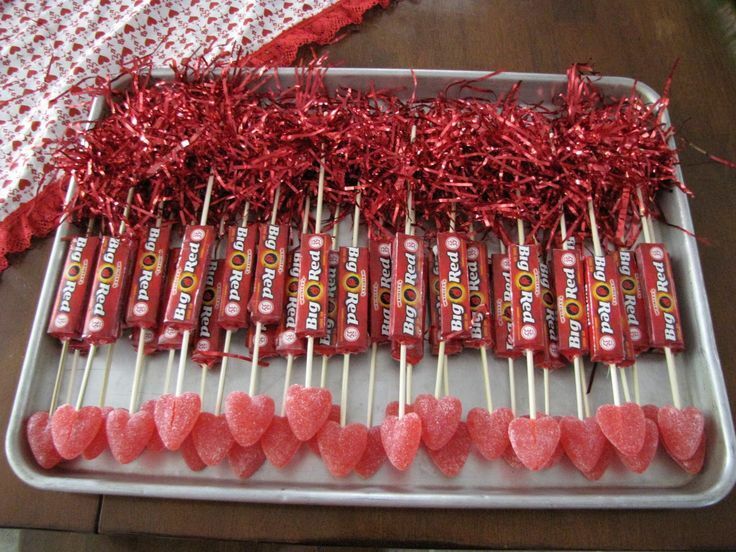 You may find this little craft idea helpful for your Valentine’s Day celebration. It’s wonderful to have an easy project to take to school parties or having a party at home. These are Cupid’s Arrows that you can make and distribute to family and friends. They’re very easy to make. You’ll need a long lollipop stick or a straw. Add some red and pink garland at the top, slide in a piece of Big Red gum on the stick and for the arrow put a sugar gumdrop heart. They are impressive and a big hit at any party.